Wild Card membership is designed for the single individual who would like to take a rotating guest that is not a member. For example: You can take a grandchild on a trip, or your girlfriend. On the next trip, you can take someone else that is not a member. A family membership is designed for the couple or family. Obviously the single is for one person, 18 years or older. Membership fees are for our fiscal year (May 1 to April 30 of each calendar year). Membership is required to go on our ski trips. You can join easily by filling out the online membership form below (payment with PayPal) or printing off this membership form and mailing it along with your check to the Ski Club, who’s address is on the form. Membership runs from May 1 to April 30 of each calendar year. Family ($45 - Married Couples (18+) with or without children or Single Parents. By my signature hereto, I hereby release, hold harmless and indemnify the Oklahoma City Ski Club, Inc. (hereafter “Ski Club”) and the Ski Club’s employees, agents and officers, for bodily injury, property damage, loss of personal property, delays or inconvenience, or any other damages, sustained by me, or a family member or guest of mine, while participating in any activity or on any trip arranged or organized, in whole or in part, by the Ski Club, even if caused by the negligence of the Ski Club, or caused by the negligence of any Ski Club, employee, agent, officer or member. I acknowledge that skiing, snow boarding and other activities associated with the Ski Club are inherently hazardous activities and that accidents and injuries are to be expected, and I hereby assume this risk on behalf of myself, my family members and my guests. The assumption of risk is a consideration for and condition of acceptance of my request for membership in the Ski Club. 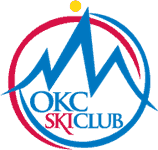 It is understood that membership dues and contributions to the Oklahoma City Ski Club, Inc. are not tax deductible as charitable contributions for income tax purposes. After hitting the submit button, you will be taken to PayPal to either pay with your PayPal account, a credit card or debit card. Payment must be received for your membership to be active.